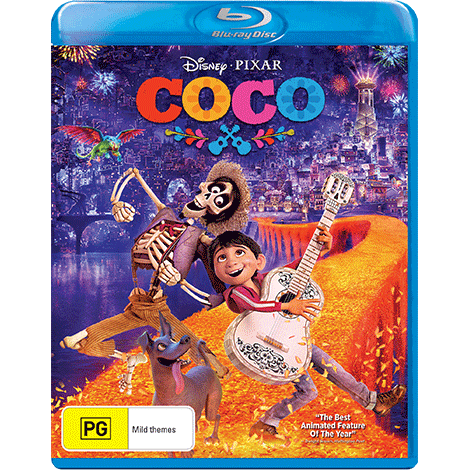 Make every movie night at home a magical adventure with Coco. Despite his family’s baffling generations-old ban on music, Miguel (voice of newcomer Anthony Gonzalez) dreams of becoming an accomplished musician like his idol, Ernesto de la Cruz (voice of Benjamin Bratt). Desperate to prove his talent, Miguel finds himself in the stunning and colourful Land of the Dead following a mysterious chain of events. Along the way, he meets charming trickster Hector (voice of Gael García Bernal), and together, they set off on an extraordinary journey to unlock the real story behind Miguel's family history. 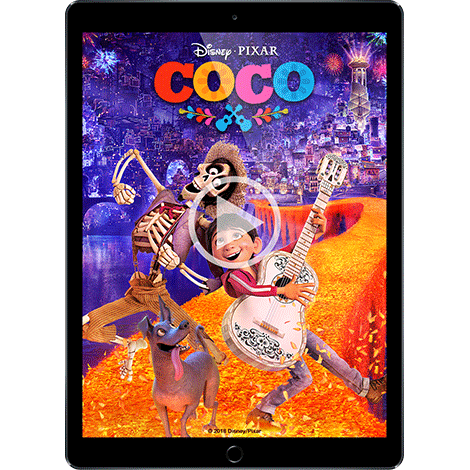 Disney•Pixar’s “Coco” is now available on Digital, Blu-ray™ & DVD. 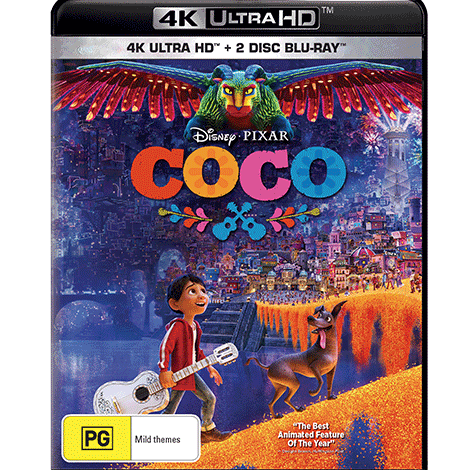 Bonus includes The Music of Coco: Explore Coco's beautiful collage of music, created in collaboration with musicians of Mexico. Paths to Pixar: Coco – See how the crew's personal stories resonate with the movie's themes. Plus Deleted Scenes and more! 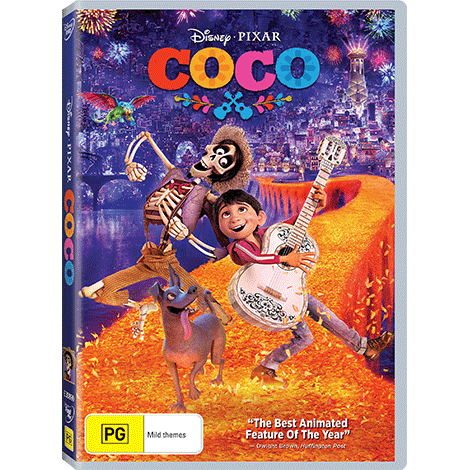 Disney•Pixar's Coco is now available to buy and watch at home on Blu-ray™, DVD and Digital. It’s the first holiday season since the gates reopened and Anna (voice of Kristen Bell) and Elsa (voice of Idina Menzel) host a celebration for all of Arendelle. When the townspeople unexpectedly leave early to enjoy their individual holiday customs, the sisters realize they have no family traditions of their own. So, Olaf sets out to comb the kingdom to bring home the best traditions and save this first Christmas for his friends. All Family Fun Day sessions on December 3 will feature Olaf’s Frozen Adventure before Coco. All Advance screenings on December 8, 9 & 10 will feature Olaf’s Frozen Adventure before Coco. Marvel Studios’ Black Panther follows T’Challa who, after the death of his father, the King of Wakanda, returns home to the isolated, technologically advanced African nation to succeed to the throne and take his rightful place as king. Pre-order Marvel Studios’ “Black Panther” now. On 4K Ultra HD™, Blu-ray™ & DVD May 30. Aladdin The Musical Disney On Ice Avengers S.T.A.T.I.O.N.